Two Australian researchers have found that CSIRO-developed GMO wheat which was created to silence particular genes within the crop can also silence certain rNA and DNA sequences in the human body, causing fatality as early as age five or six. The researchers are calling the GMO wheat a ‘safety’ issue, which requires more profundity before the genetically modified crop is planted in more areas of Australia and offered in products in grocery stores. Professor Jack Heinemann of the University of Canterbury, NZ, and Associate Professor Judy Carman, a biochemist at Flinders University, released their expert scientific opinions on the safety of CSIRO’s GM wheat at a press conference in Melbourne. The Safe Food Foundation & Institute has a video of their conference, here. While studies on the wheat have been released by CSIRO, the scientists point out that there are some grave holes in the overall assessment of the crop that have serious repercussions for people who consume it. According to the Heinemann and Carman, extended testing should be performed before the wheat is put on store shelves. “The technology is too new,” the scientists said in the press conference, “What we found is that the molecules created in this wheat intended to silence wheat genes can match human genes and through ingestion can possibly silence human genes. We found over 770 pages of potential matches between the genes in wheat and the human genome.” This is the cause for concern. The issue may end up in Australian courts if the company does not respond to the scientist’s and publics concerns about the GM wheat. are Navel Oranges GMO? i know this is a random question but im relly worried. i did alott of research on it and it seems like they are GMO. im talking about the Navel seedless oranges. Anyone know??! I would also like to know if “seedless” grapes are GMO. They were labelled “Organic” in the grocery store, so I bought them, but later thought about it and realized that as a child, I never saw or ate “seedless” grapes. Not necessarily. They might be just a hybrid. But I believe they may be zapped by nuclear radiation to make the fruit seedless? 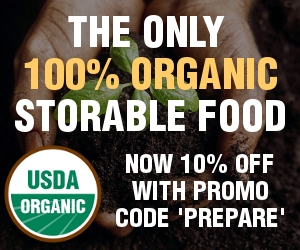 As you know organic just means grown with no artificial fertilizer. I think that chemical fretilizer prevents the plant taking up the nutrients it might otherwise use. As far as I know and have read, Organic also means GMO Free. Natural means no pesticides, herbicides, chemicals etc. but “NOT” GMO Free.